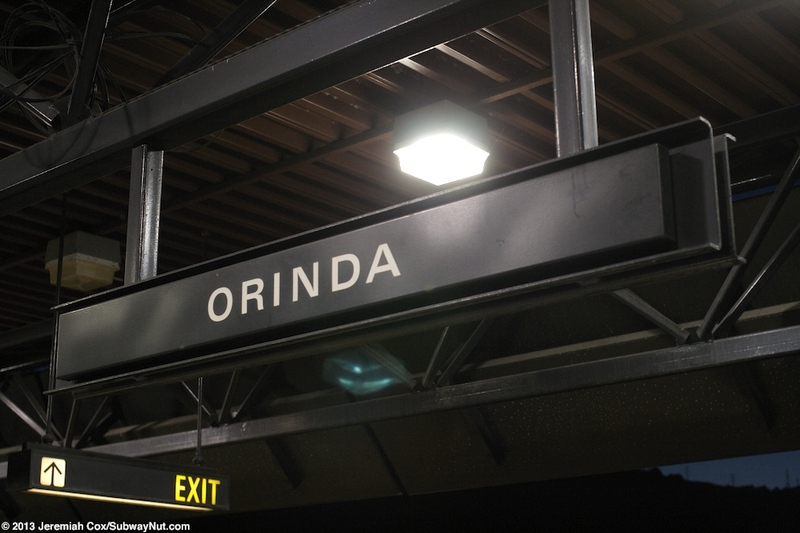 Orinda is a unique station with all station access located between the dual-carriageways of CA-24 that separate to allow the station and its 1,406 parking spaces. 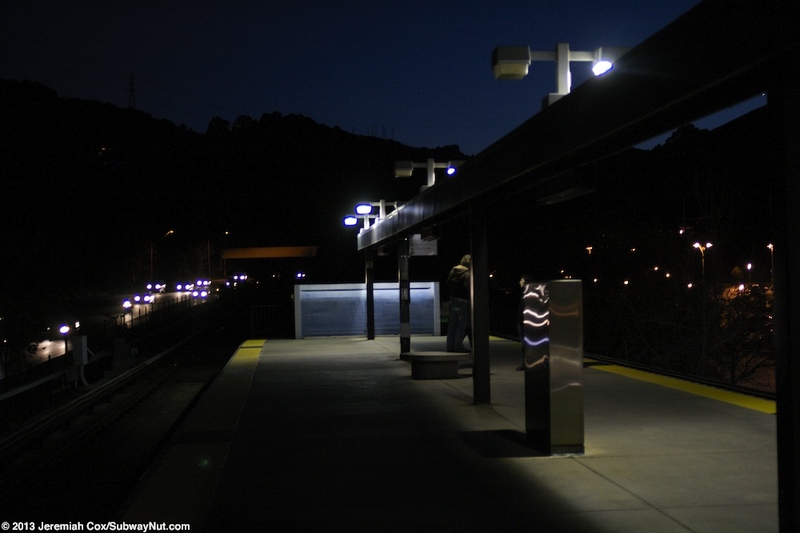 Just west of the station the tracks go underground through the bores of the Berkeley Hills Tunnel (built to topography reasons) and emerge back at the surface before the next stop of Rockridge. 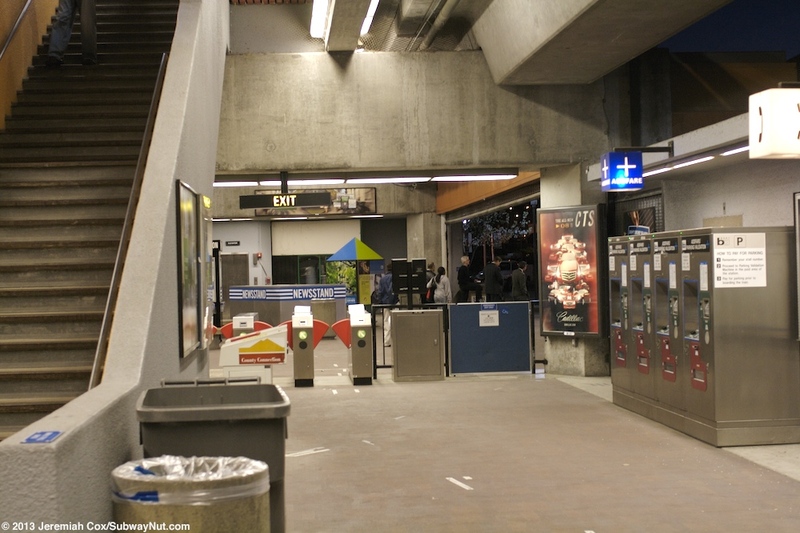 The station opened on May 21, 1973. 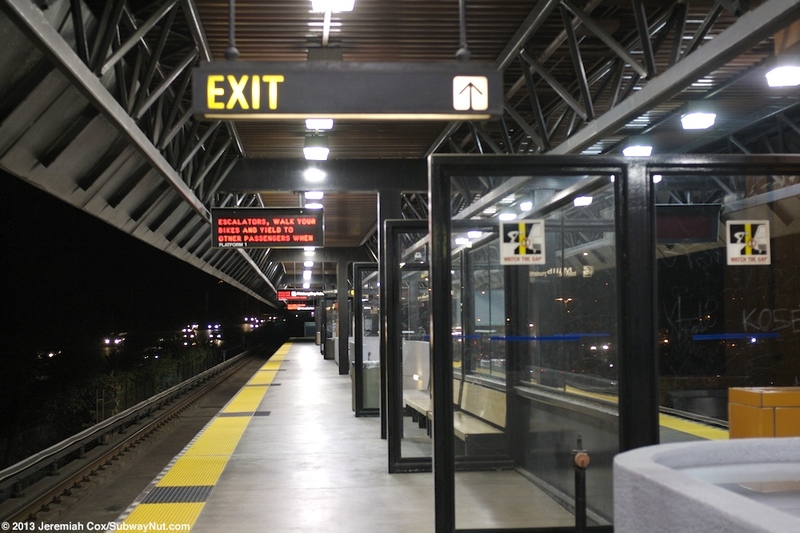 At the station, the tracks are along the eastbound lanes of Highway 24 and the stop has a single island platform. 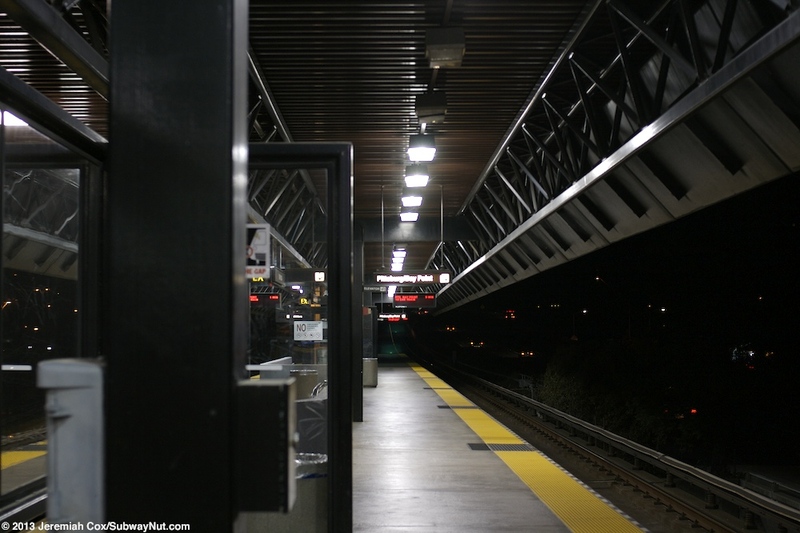 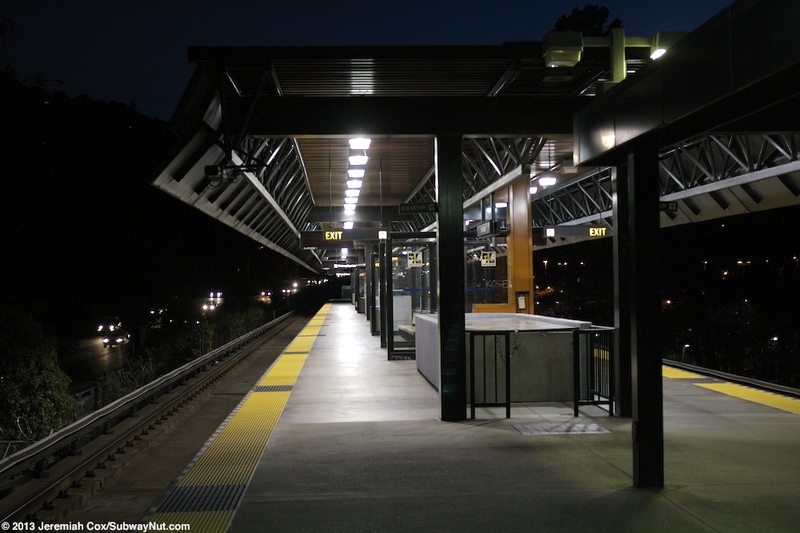 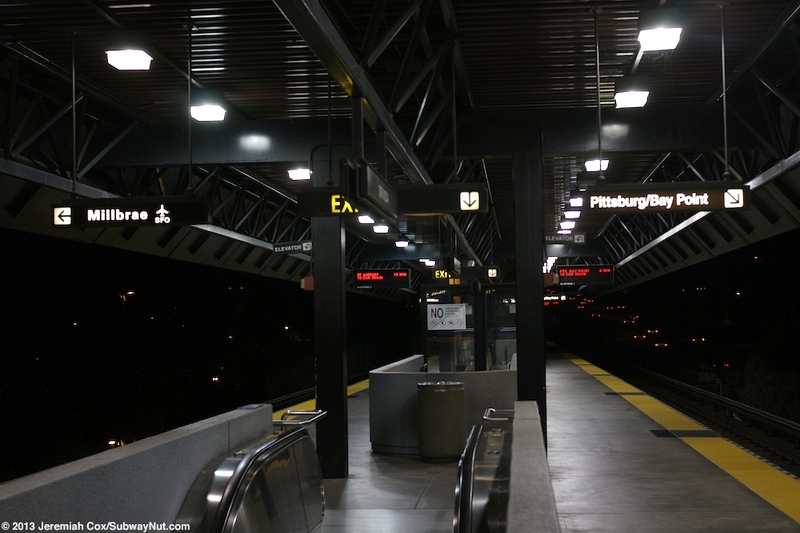 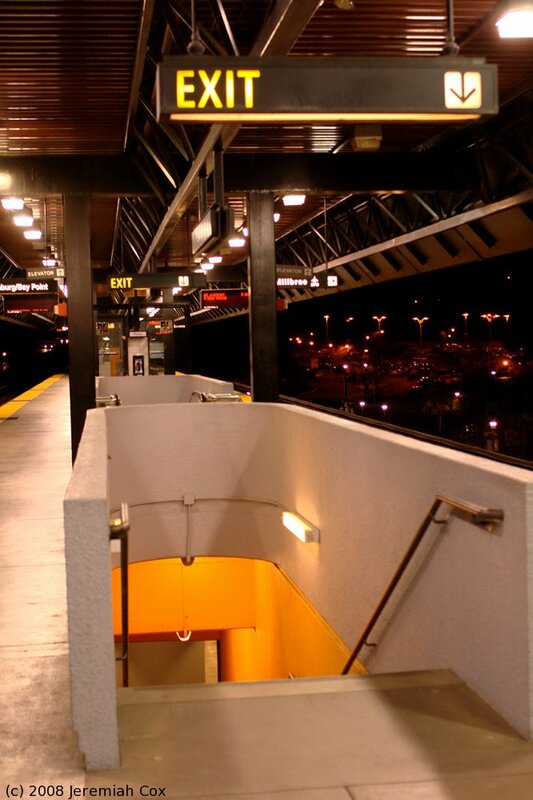 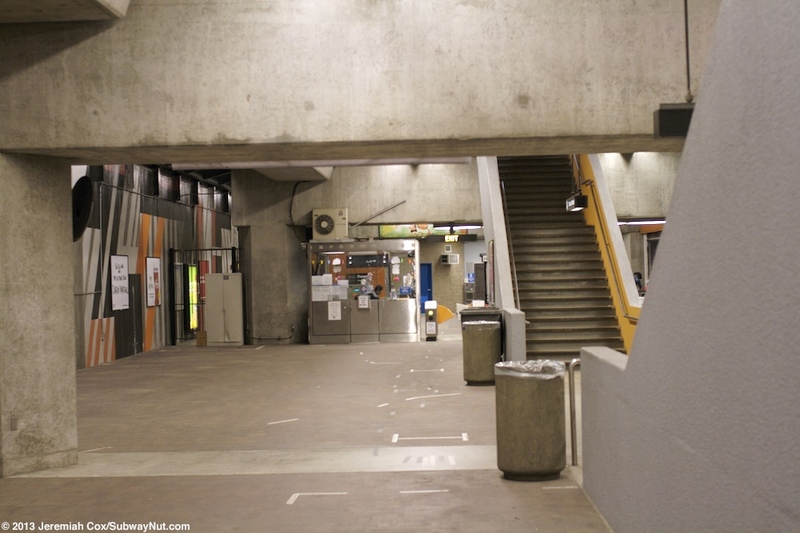 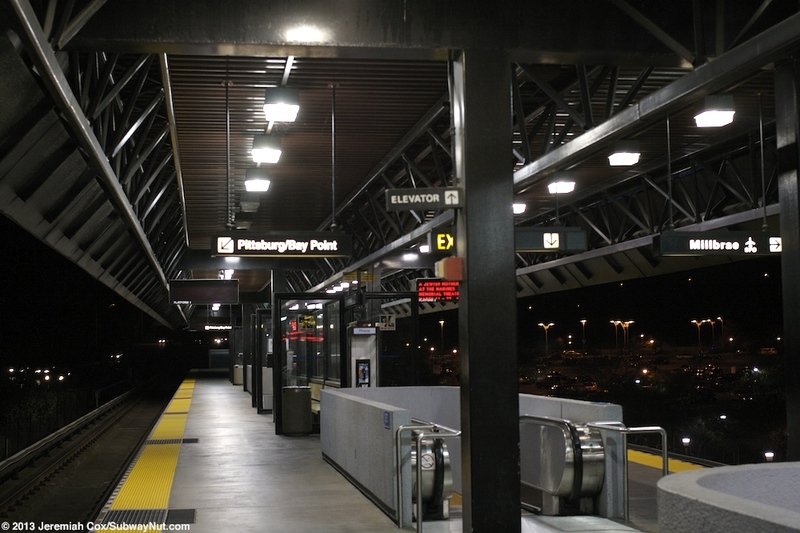 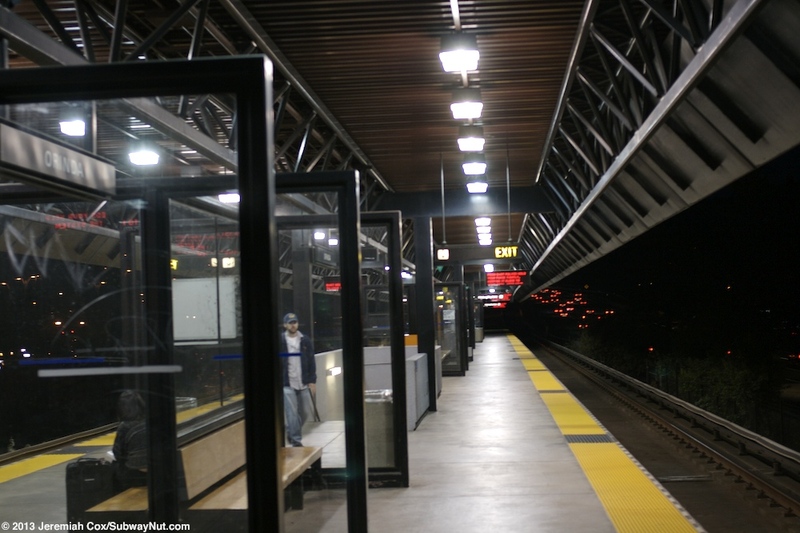 This platform is canopied in its midsection with fare control located in a small area beneath the tracks (accessed by two staircases and an elevator) leading out only to the median parking lots on the west side of Camino Pablo that provides all access to the station. 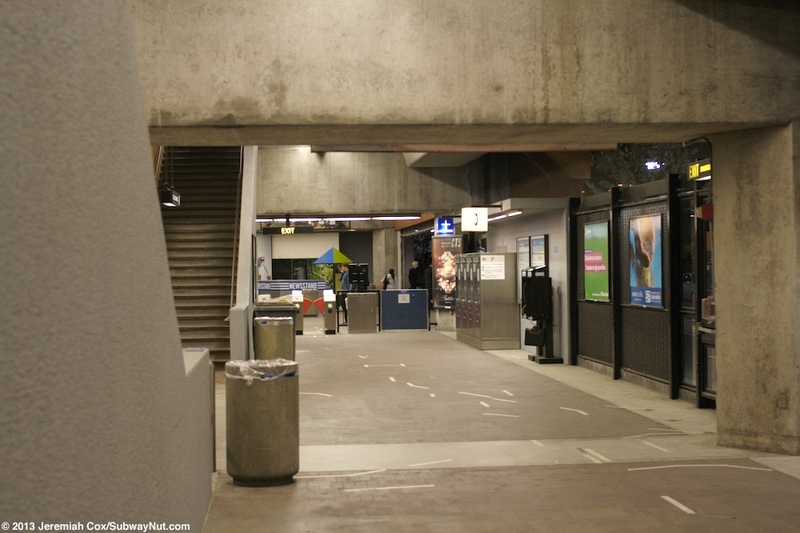 Additional parking lots are on the opposite side of Camino Pablo and two overpasses, one for pedestrians, one for vehicles connect this parking lot with the main 3 parking lots closer to the station platforms.